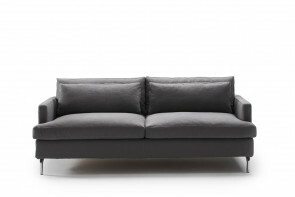 Lampo is a made in Italy sofa with removable cover in fabric, leather or eco-leather available in several colours. 8 armrest models for 8 different styles. 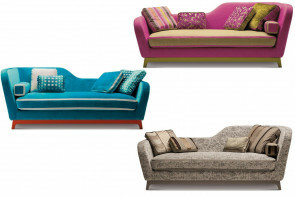 SPECIAL EDITION DESIGNERS GUILD Trendy, Fashion, Glamour are the three sofa beds from the Limited Edition collection designed by Milano Bedding and Designers Guild. 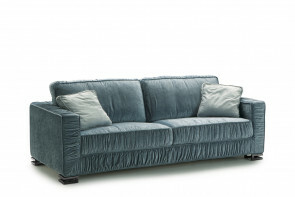 Morgan is a made in Italy bergére sofa with high quilted backrest in many finishes and colours. Available in 2 and 3-seater models, with one-piece seat cushion. 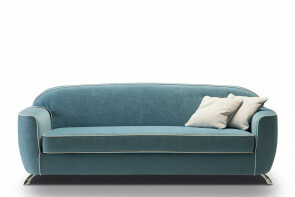 Charles is a made in Italy vintage sofa with a 50s style. Curved backrest and armrests, one-piece cushion seat. A demountable sofa also as armchair. 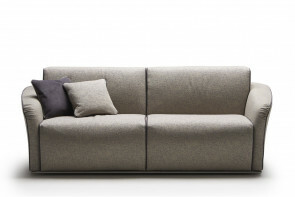 Andersen is a modern 3-seater daybed sofa in fabric, eco-leather or leather. By removing the lumbar and armrest cushions it becomes a comfortable single bed. Ellington is a modern sofa with headrest cushions, protruding piping and matching or contrasting decorative inserts. Optional square decorative cushions and ottoman. 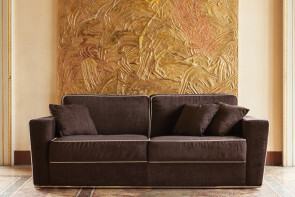 Petrucciani is a made in Italy sofa with flared armrests and a creased effect. 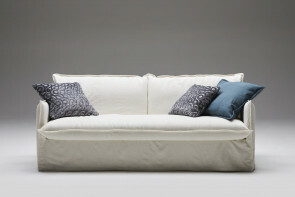 A sofa with visible feet available as 2 or 3-seater and also in an armchair version. 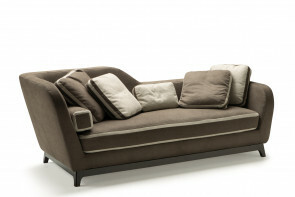 Jeremie is a made in Italy 3-seater dormeuse sofa: a classic model reinvented in a modern way. With a wide range of covers, in 2-coloured versions too. 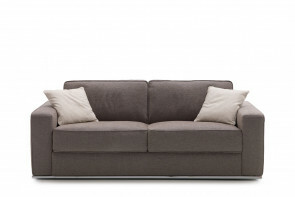 Larry is a 3-seater sofa with metal base and cover in several colours. Seat and backrest are characterised by one-piece cushions. Also available as 2-seater. Duke is a modern white 2-seater couch also available in other colours and as 3-seater, corner sofa or with chaise longue. Ideal for informal sitting rooms. 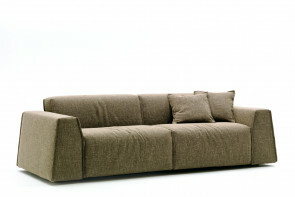 Dennis is a modern corner sofa without armrests and a modular design. With cosy backrest cushions, it is also available in linear models and with chaise longue. 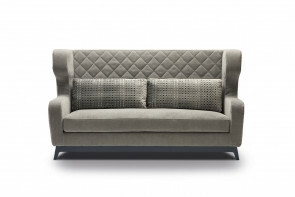 Matrix is a modern sofa with quilted seat characterised by a one-piece cushion. It is available as 2 or 3-seater, with chaise longue or corner elements. 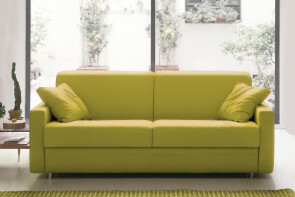 Eric is a made in Italy yellow 2-seater couch also available in many other colours with fabric, eco-leather or leather cover. 8 armrest models to fit any kind of space. 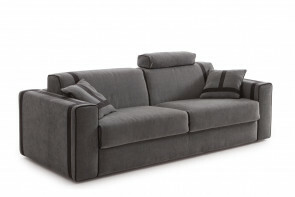 Joe is a modern corner sofa with adjustable headrests and no armrests. With optional ottomans, armrests, coffee tables, bookcases and boxes. 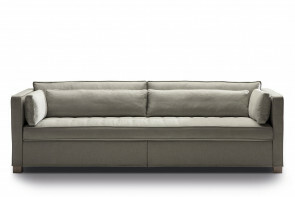 Melvin is a modern sofa with bookcase armrests, available in linear or corner models, or with chaise longue. Cover in fabric, leather or eco-leather. 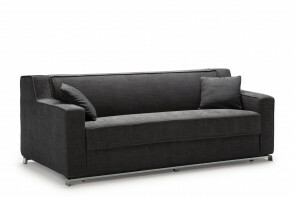 Shorter is a modern couch with storage chaise longue, also available in linear models and in corner ones. With a wide seat in polyurethane and down. Prince is a made in Italy sofa with chromed metal base, ideal for all kinds of sitting room. Available in linear or corner models, and with chaise longue. 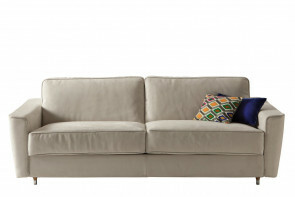 Groove fabric 3-seat couch, also available as 2-seater, with chromed metal tube base. Matching or contrasting piping and high armrests. Clarke shabby chic sofa with skirt, slim armrests, and seat with a one-piece cushion. 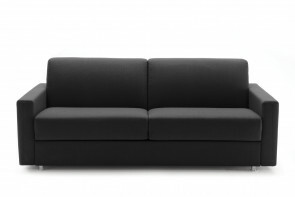 Available in 2 or 3-seater models in fabric, leather or eco-leather. 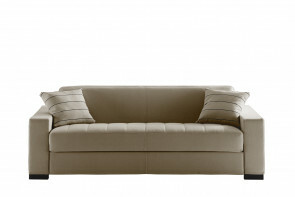 Dave is a couch with feather cushions, available as a 2-seater, 3-seater, 4-seater, with chaise longue or as an armchair. High aluminium feet. Grand Lit is a modern sofa with reclining backrest and adjustable armrests. Removable cover in fabric, eco-leather and leather with checked quilting.